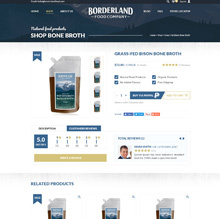 Borderland needed a new responsive website to make it easy to purchase products and browse inventory. 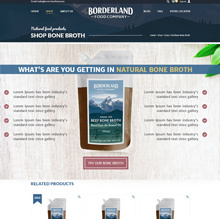 Bone broth is made by slow cooking animal bones and connective tissues for long periods of time - usually for 24 or more hours. 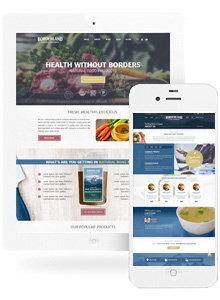 The result is a rich broth full of amino acids, collagen, gelatin, glucosamine, electrolytes, calcium, and other minerals and nutrients. 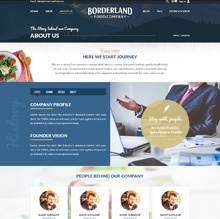 With knowing this Red Cherry designed a website to showcase the wonderful products Borderland produces. Control to sell anything, anywhere. Beautifully. 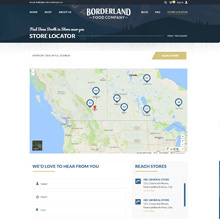 Google maps store locater integration.